On this cloudy day of November, you might want to read something clever, witty, and not too sophisticated. 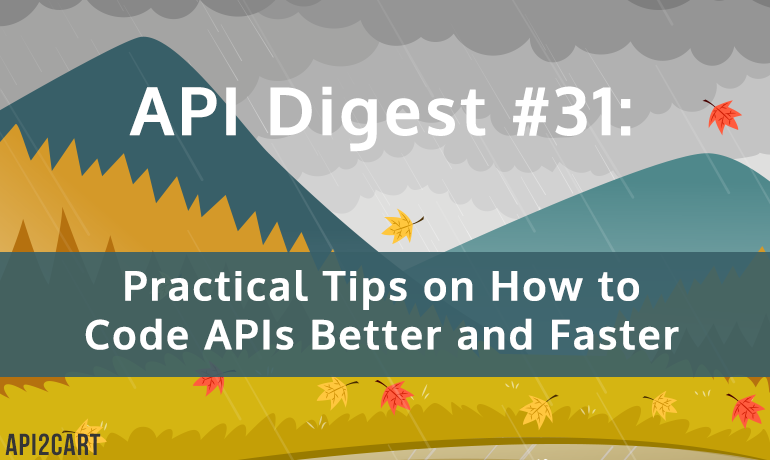 This week’s API Digest has some of that for you. Sometimes abstract talks on API design and stuff need to be diluted with something more practical and down-to-earth. If that is the case for you, have a couple of minutes to enjoy Chet Haase’s Ten Good Rules for Bad APIs. If you have been wondering what an API client library is, check Sarah Maddox’s post dedicated to the topic. Haven’t heard of Point-in-Time API Versioning approach? Catch up on the topic in Managing Change Behind the Scenes with Continuous Regression Testing for a Seamless Customer Experience by Harlow Ward. Ole Lensmar, an API Evangelist since the late 90s, has given a presentation on API virtualization. Watch it to learn about how and when virtual APIs can help and when they can’t. In his recent article for InfoQ, Sergio De Simone defines API developer experience as a relatively novel focus aimed to improve API design. Read What is API Developer Experience and Why It Matters and find out how it helps to achieve goals on behalf of end users. API rating is needed to know which APIs are the good ones and what constitutes a good API. Kin Lane has shared his ideas on how The Standard And Poors And Moodys For The API Economy are going to be created. Explore API backend architecture and learn how to optimize APIs for mobile apps with Bill Doerrfeld, Editor in Chief for the Nordic APIs blog. That is it for this week’s API Digest. Come back in two weeks for more. And in the meanwhile, share the post with your friends, subscribe to our monthly newsletter, and feel free to make suggestions or contact us by e-mail.